The following points must be understood and followed for your E2E Cover® to function as designed. To help ensure a proper heat seal, please remember that when the End 2 End Cover is in the closed position, the cover’s end-straps must be pulled and latched down tightly for the heat seal and the domed effect to function as designed. Always use the reinforced end-straps to manipulate the cover; doing so by any other means may cause damage to your End 2 End Cover. Regular monthly maintenance is encouraged on the E2E Cover in order to keep it looking and performing it’s best. We recommend a quick spray-down with a garden hose every so often to remove accumulated dirt, pollen, or debris from the cover. Further, after experiencing snow, hail, or particularly heavy rain-storms, it is good practice to clear any accumulation from the cover using a soft deck brush. Should the exterior of the E2E Cover ever require a more thorough cleaning, we suggest using a soft deck brush together with a mild dish soap to scrub the cover clean. The vinyl underside of the cover should be wiped down regularly with an all-natural / all-purpose cleaner. Annual or seasonal re-positioning of the E2E Cover on the swim spa. Roll the cover down to one end. With two able bodied people, spin it 180°, bring it down to the opposite end and roll the cover to a closed position. For customers who do not intend to use their swim spa during the winter season, follow manufactures instructions on how to winterize your swim spa. Additionally, secure the E2E Cover on all four sides fasten and lock all. Lastly, place a heavy/water resistant tarp over the top of all, and secure to receive inclement weather accumulation. As ever, be sure and follow the specific manufacturer’s handling/use instructions for any/all product(s) used in conjunction with your E2E Cover; even benign cleaners can be harmful if used improperly. 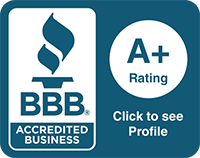 E2E, LLC is not responsible for injury resulting from the [improper] use of such cleaners. Be safe, and use your best judgement when deciding how best to employ them. 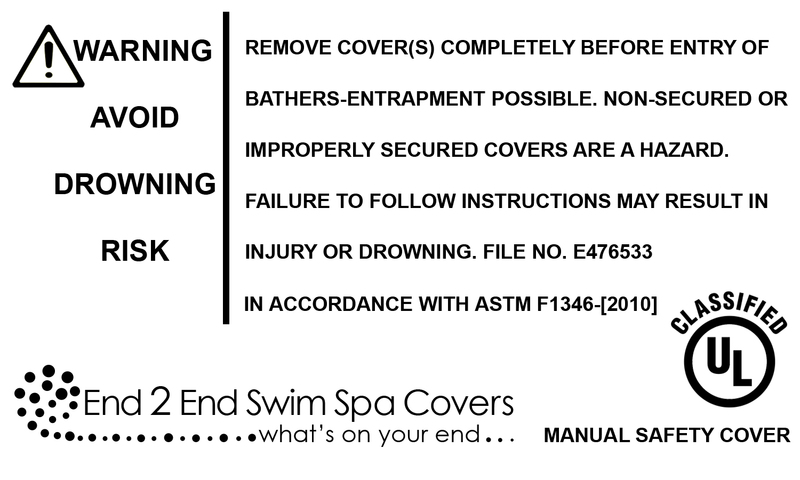 Be sure to leave the End2End Cover in the closed position, ensuring the cover is latched down on all sides when your swim spa is not in use. 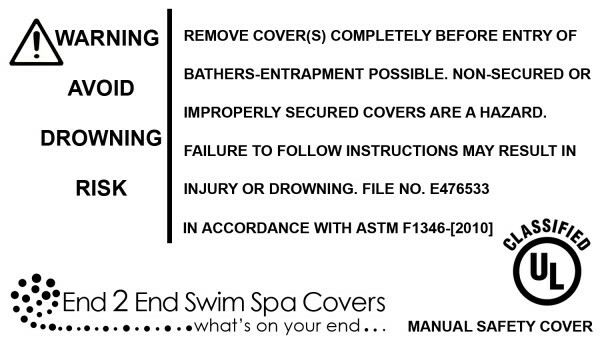 If the warning label on your End 2 End Cover is worn, torn, or otherwise illegible, contact us immediately at sales@e2eswimspacovers.com for a replacement. Please read and understand the Unpacking, Installation & Maintenance Instructions, as well as any additional literature, included with your cover. If you lose your copy of these instructions, please let us know and we will furnish a replacement. Further, E2E is not responsible for the improper use/application of accessories, tools, or products extrinsic to those manufactured and provided by the same.